How balanced do you feel? I’ve been embarking on a 25 day yoga challenge this month and one of the classes I’ve been going to is Goddess Yoga. Now, this has become my absolute favourite class and it’s because there is no set way of doing it. You move according to how you want. You listen to your body and give it what it needs, and this is so rare and refreshing. Often we push ourselves to our absolute limit, so much so that we crash and enter a full blown melt down. This happens when we aren’t connected to ourselves, when our masculine and feminine energies are totally out of balance. A lot of the yoga classes on offer here in Cape Town are very masculine energy based (yang), and there aren’t too many feminine energy classes (yin). We really need both to be in balance. This applies to life in general, not just yoga practice. If you’ve had a hectic day at work full of meetings and deadlines, you will probably be generating more masculine energy, the kind of energy that is full of fire and the epitome of the ‘go out there and succeed’ attitude. In order to balance this, you need to come home and take a walk in nature, or sit in meditation, or soak in a warm bath. This will top-up your feminine energy and bring you back into a balanced state of mind. I’m the opposite. I rarely emanate masculine yang energy, tending to gravitate towards a softer, gentler more yin way of living. I am not very good at pushing myself to achieve my goals and I’m prone to that pesky little thing called procrastination. However, if I start my day with a faster-paced vinyasa yang style yoga class, I am more likely to come home and get on with my goals. Today I did two classes back to back, one yang, one yin. I feel extremely balanced now and there is a kind of calm determination floating through my body. I think this is the key to living a more all-rounded, connected life. We all have external things we need to get done each day, but we also need to remember to take care of ourselves internally too. What’s the point of going to work everyday and achieving the highest sales or working on a project for someone else, if the outcome is that you are ultimately making yourself stressed and sick? Sometimes we don’t even know how ill and stressed we are making ourselves because we’re so disconnected from the energy that flows through us. It has taken me 30 years to realise this, and it’s only the beginning. I remember in university I would party for 3 nights in a row, and by the 4th night I would be curled up on my bed crying, feeling absolutely broken and exhausted. This is what I’m talking about. Broken! We should never ever feel broken. What are we doing to ourselves that allows us to reach this breaking point? And why do we let this happen? What’s more important to you- temporary success in the office, or your health? Because if you choose success over health then you have definitely lost the most important connection you’ll ever make, that of connecting with yourself. We all have responsibilities in life, but your main priority should be to make your health and wellbeing your responsibility, instead of it being something you only focus on when you’re already sick. Because if you’re already sick, the damage has been done. Of course it can usually be fixed, but you must refrain from letting it go that far next time. Make your health a priority and you will reap the benefits for the rest of your life. It all comes back to living a slower kind of life. I’m pretty sure we are currently living the most extreme, busy lifestyles out of all the humans that have come before us, thus resulting in us also being the most stressed and sick and disconnected. We need to change this. We need to balance our yin and yang and be kinder to ourselves, take better care of ourselves. If we are kind to ourselves, we’ll be kinder to our planet and to all other humans and living creatures. It’s true what they say: if you don’t love yourself first and foremost, how can you expect to love someone else or for someone else to love you? It starts at home, in your own body. Every day try and cultivate a bit more kindness within yourself, a bit more love, and as it spreads throughout your body and mind, it’ll start to seep out to others. That’s how it begins. 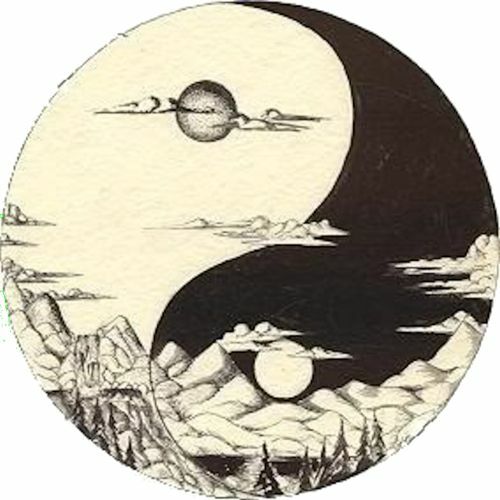 Connect with yourself, balancing your yin and yang, and ultimately you connect with every one and every thing around you.